HNM Records is proud to present INDONOISIA: Indonesian Noise & Experimental Sounds, a compilation album highlighting the exciting and ever growing underground experimental noise scene in Indonesia. 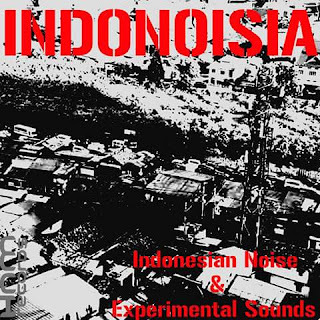 For many years the noise and experimental music scene of Indonesia has been steadily growing and expanding its impact on the rest of the world. Many talented and diverse artists have created so many wondrous sounds that challenge the mind and eardrums. This album is just a small taste of what the underground music scene of Indonesia has to offer. Huge thanks to all the artists that contributed to this album. Special thanks to Gerpfast Kolektif , To Die, Jogja Noise Bombing, Division Fracture and Jeritan for helping to spread the word about this project! All featured artists' information can be found by clicking each individual track's info link.